Chadwick Boseman, Daniel Kaluuya and Michael B. Jordan hit the black carpet for the premiere of 'Black Panther' yesterday evening(February 8th) at Disney and Marvel's 'Black Panther' premiere at the Hammersmith Apollo theater in London. 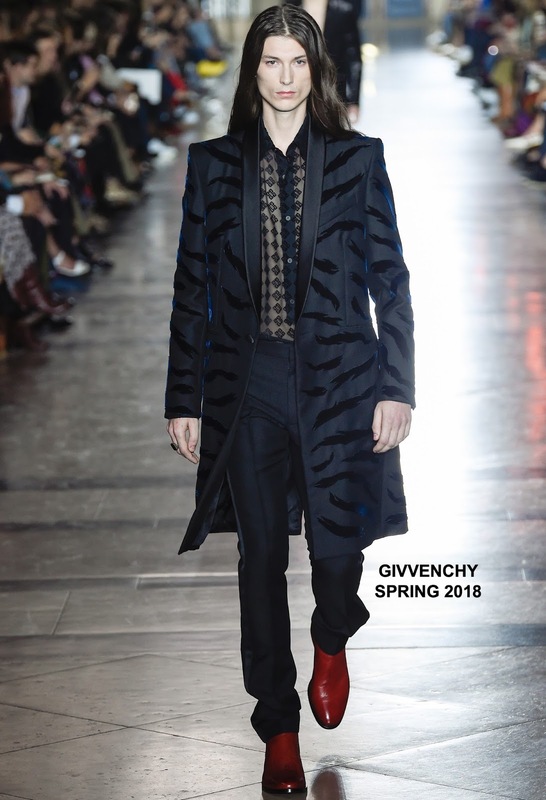 Chadwick Boseman looked great rocking a GIVENCHY SPRING 2018 black velvet panel over-coat, a black logo button down shirt and black trousers. I kinda wish he kept the runway's red boots but he still looked great. DAVID YURMAN jewelry finished up his look. Daniel Kaluuya wore a two-piece GUCCI black suit styled with a white button down shirt, a black tie with the brand's signature tiger motif and black shiny dress shoes. The tie is what kept his look somewhat interesting. 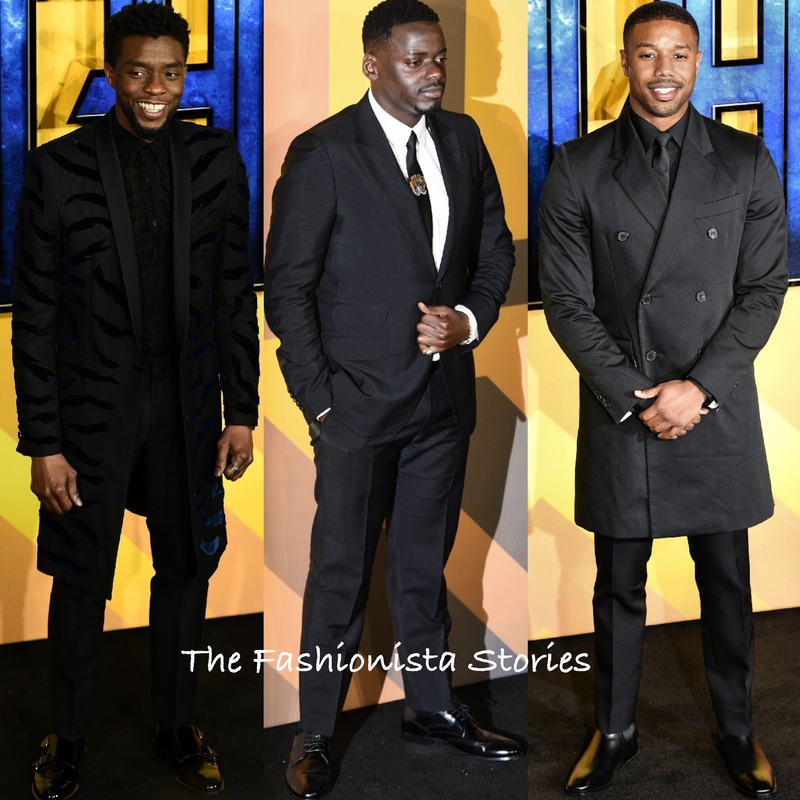 Michael B. Jordan looked great as well in a CALVIN KLEIN black over-coat, a black button down shirt & tie, black trousers and LOUBOUTIN HOMME shoes. PIAGET jewelry finished up his look.